Valuation analysts (“analysts”) value closely held business and business ownership interests for various transaction, financing, taxation, accounting, litigation, and planning purposes. 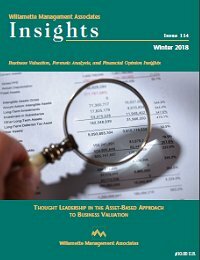 Analysts should consider the application of all three generally accepted business valuation approaches in these analyses: the income approach, the market approach, and the asset-based approach. However, most analysts rarely apply the asset-based approach, at least in valuations of going-concern operating companies. This discussion describes the theory and application of the asset-based approach. And, this discussion explains how this approach can be used to value operating companies—as well as asset-holding investment companies—on a going-concern basis. The asset-based approach is not usually recommended as the sole basis for the business valuation. However, due to data or other constraints, the income approach and the market approach are not always available to value an operating company. In addition, the asset-based approach may be used as a complementary or confirmatory analysis in conjunction with both income approach and market approach valuation analyses. Valuation analysts (“analysts”) are often called on to value closely held businesses, business ownership interests, and securities for a variety of client reasons. The engagements could involve transaction, taxation, financing, controversy, planning, and other reasons. Such analysts often immediately disregard the asset-based approach as a viable analytical approach to value the subject closely held company. However, the asset-based approach is a generally accepted business valuation approach that deserves consideration either as a primary—or as a confirmatory—valuation analysis. Two of the common asset-based approach valuation methods include (1) the asset accumulation method and (2) the adjusted net asset value method. This discussion describes and illustrates the application of the asset accumulation method. Valuation analysts (“analysts”) typically claim to consider all three generally accepted business valuation approaches in the valuation of a closely held business, business ownership interest, or security. However, most analysts then immediately dismiss the assetbased approach in favor of the income approach and the market approach. These analysts usually provide little or no explanation for this analytical dismissal. There are two common asset-based approach business valuation methods: (1) the asset accumulation method and (2) the adjusted net asset value method. This discussion explains and illustrates the application of the adjusted net asset value method in the valuation of a typical closely held business or security. One component of many asset-based approach business valuation analyses is the valuation of the subject company’s tangible property assets and/or intangible property assets. This discussion summarizes what valuation analysts (“analysts”)—and other parties who rely on business valuation analyses—need to know about the analyst’s property valuation due diligence procedures. The application of the asset-based approach to business valuation often involves the appraisal of the subject company’s industrial and commercial real estate. This discussion summarizes what valuation analysts—and the parties who rely on their business valuations—need to know about the appraisal of operating company industrial and commercial real estate appraisal as part of the asset-based approach business valuation analysis. The asset-based approach to business valuation often involves the appraisal of an operating company’s industrial or commercial tangible personal property. This discussion summarizes what valuation analysts—and the parties who rely on their business valuations—need to know about the industrial or commercial personal property appraisal process as part of the asset-based approach business valuation analysis. The asset-based approach is a generally accepted business valuation approach. This approach may be used to value either operating companies or asset-holding companies for transaction, taxation, financing, litigation, planning, and other purposes. The generally accepted asset-based approach valuation methods often involve the valuation of the operating company tangible assets and intangible assets. And, one common component of the intangible asset valuation process is the identification and valuation of the operating company’s intellectual property. This discussion summarizes what valuation analysts (and their clients) need to know about valuing intellectual property as part of the application of an asset-based approach business valuation.